Lucky for you, I’ve done the hard work for you! 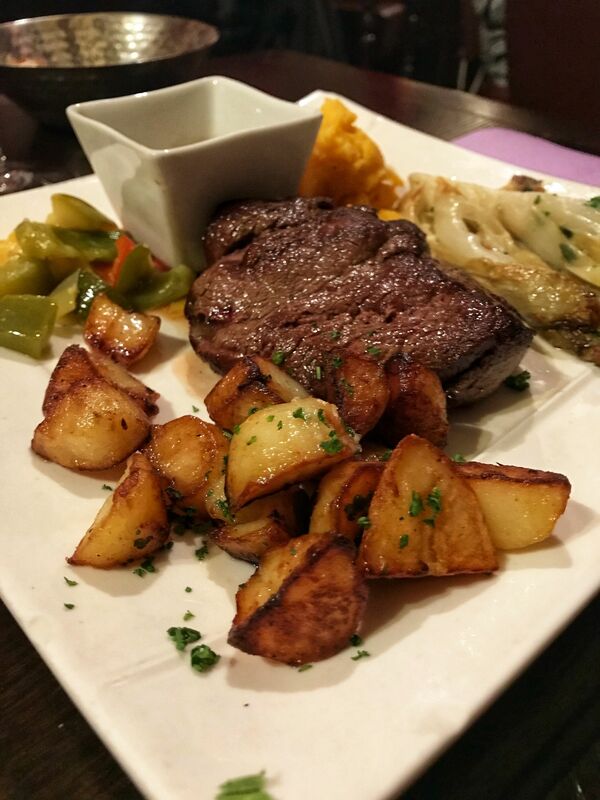 Finding food in Paris, the city of love has never been so easy! 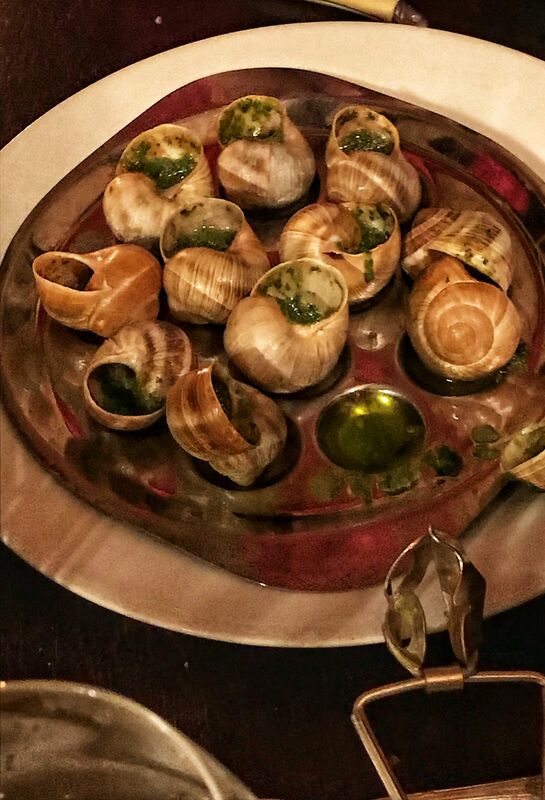 Whether you’re into your escargot or more of a meat and two veg type, there’s something for everyone. 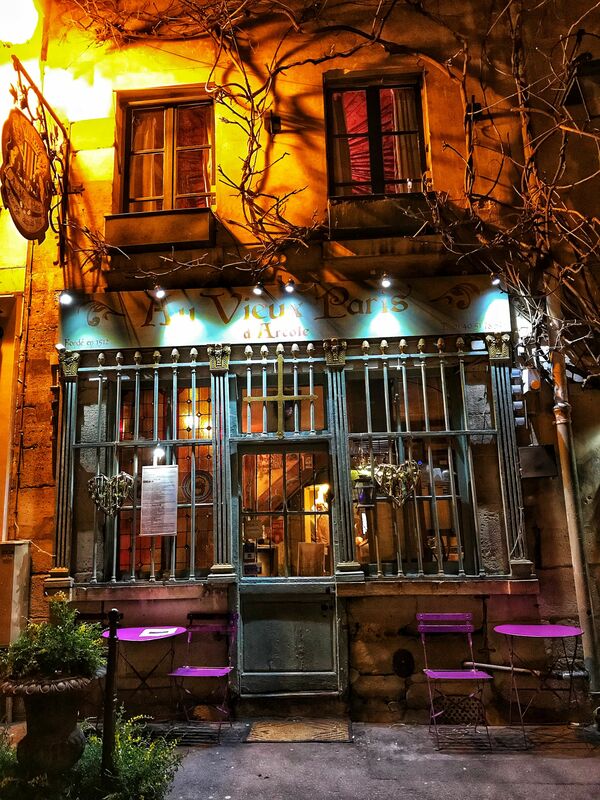 Paris has a variety of restaurants to suit all tastes and when it comes to food tours & cooking classes in Paris, you are spoiled for choice! I love the grandeur of finding an exclusive restaurant with city skyline views, intriguing decor and overlooking iconic landmarks but I’m just as happy in a restaurant full of rustic charm serving heartwarming dishes. 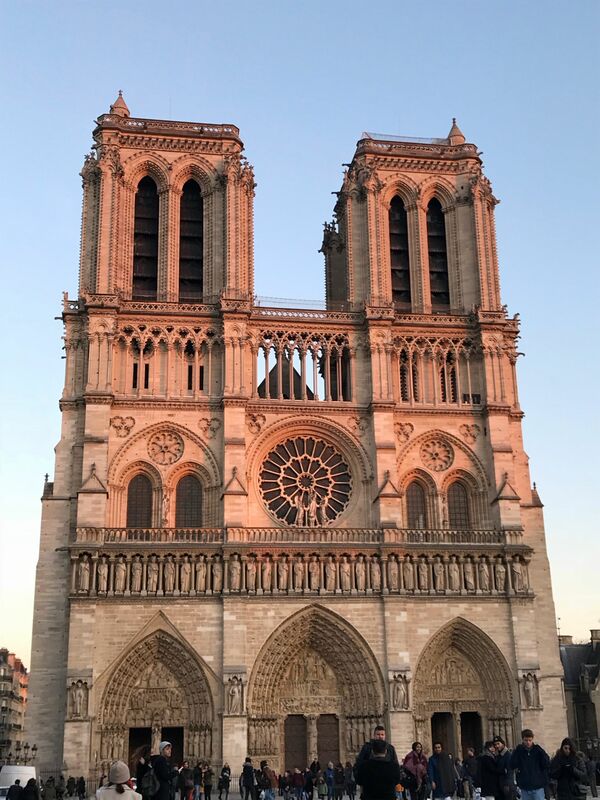 After a day of exploring Paris and watching the lights of The Eiffel Tower twinkle (switch on at 7 pm and twinkle on the hour until 12 pm) what better than to continue your evening of dining whilst you gaze at this mesmerising landmark. 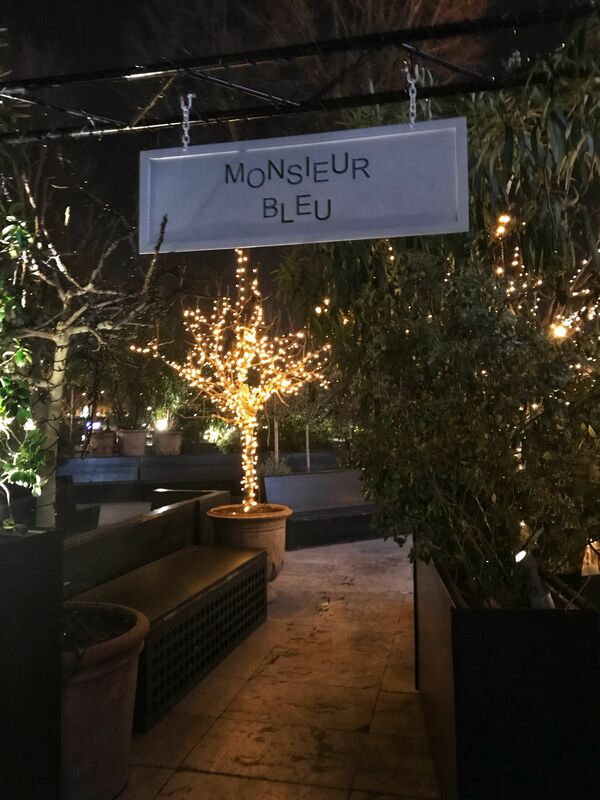 At Monsieur Bleu you can do just that as the restaurant is within five/ten minutes walking distance across the bridge of the River Seine. 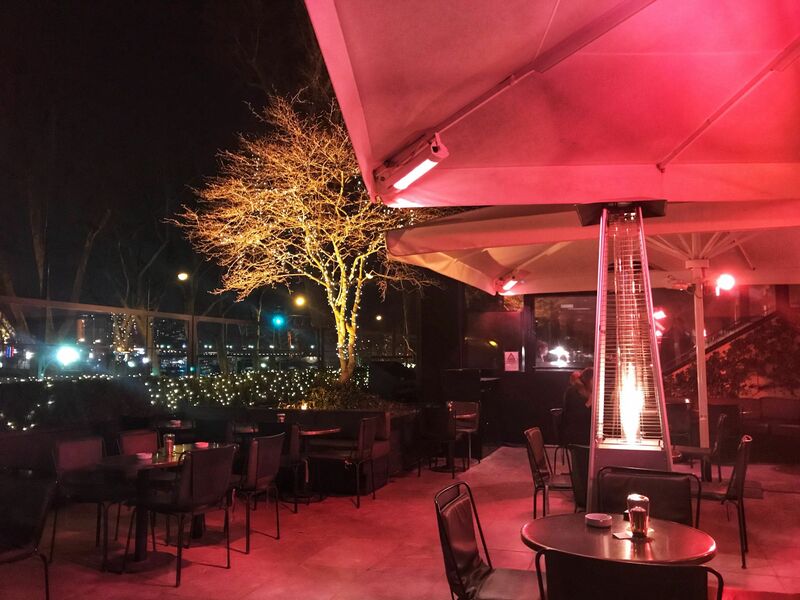 In warmer months, take advantage of the terrace area complete with blankets and heated lights. If it’s too cold to sit outside see if you can get one of the tables in the bar area or close to the window where you can see The Eiffel Tower’s effervescent glow through the window. 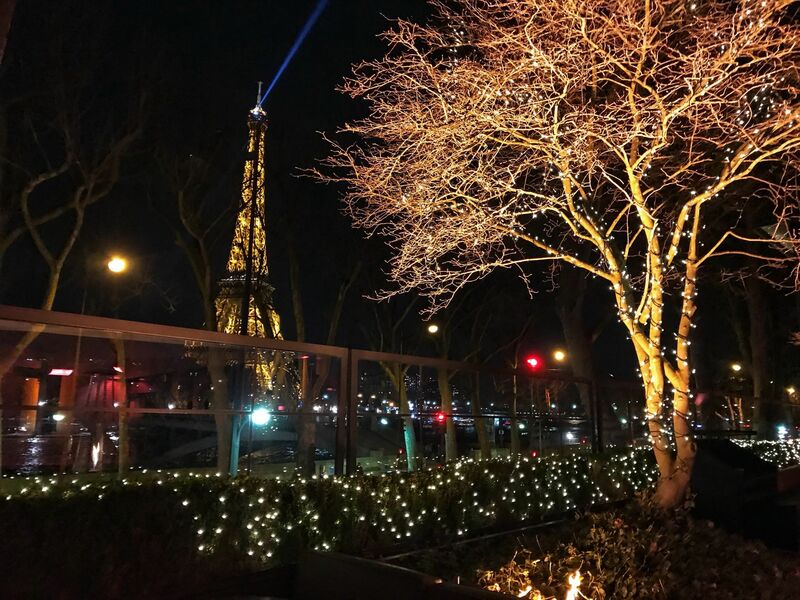 If you’re really looking to wow your loved one, book the igloo located on the terrace right underneath the Eiffel Tower for a romantic evening under the stars. The igloo is so exclusive I couldn’t get anywhere near it to take photos! 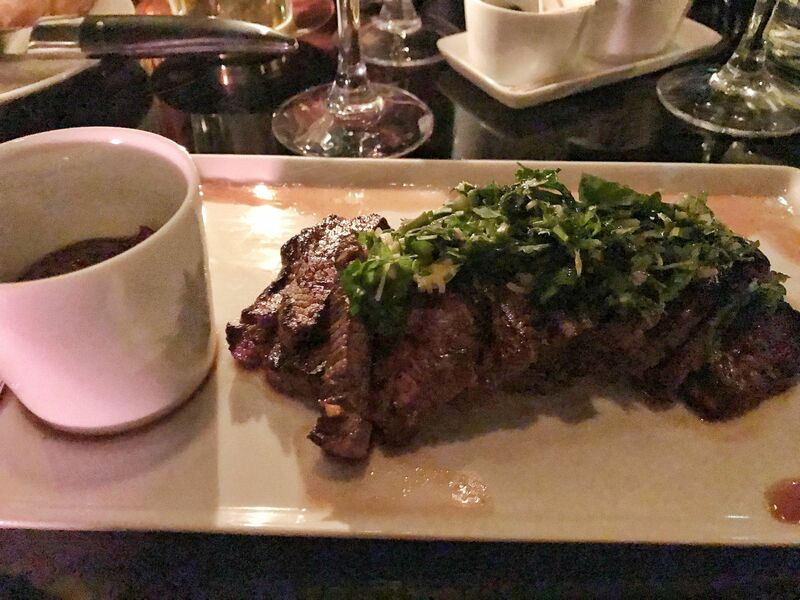 If you can, I would recommend booking beforehand as it is a popular restaurant. We didn’t book and luckily were seated in the bar area just before 8 pm on a Friday night. Whilst the venue has a sense of grandeur to it, we didn’t feel out of place or made to feel awkward because we hadn’t booked or were not dressed in dinner attire. 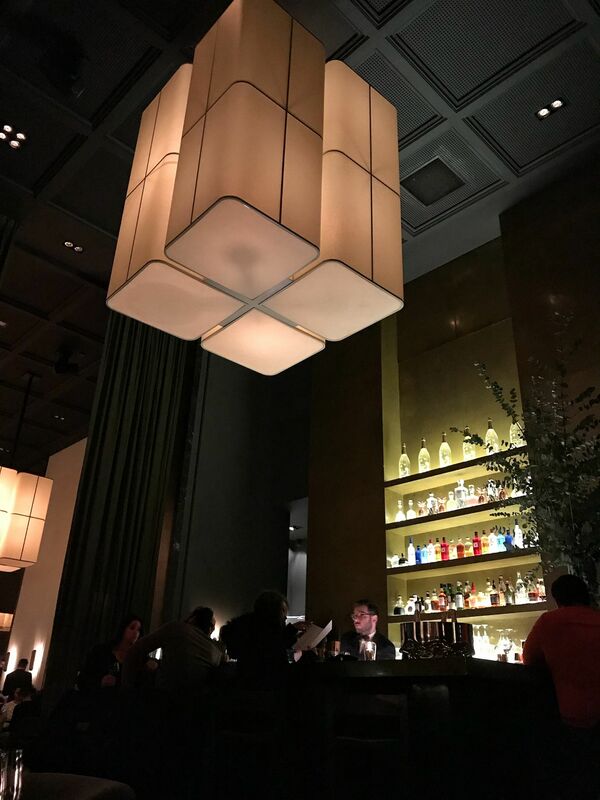 With its high ceilings, geometric chandeliers and low lighting, Monsieur Bleu not only has an ambient atmosphere but is also full of intrigue. Chef Benoit Dargere has curated a menu revisiting classic French cuisines in a way that meets the varied needs of their clientele. We skipped starters and went straight into the main. I ordered the spicy marinated beef, which came with rice. The beef was similar to brisket of beef and had a spicy sauce, tasting similar to dishes I’ve enjoyed previously in Vietnamese restaurants. I loved my main but was secretly jealous of Adam’s crispy pork with mash potato. 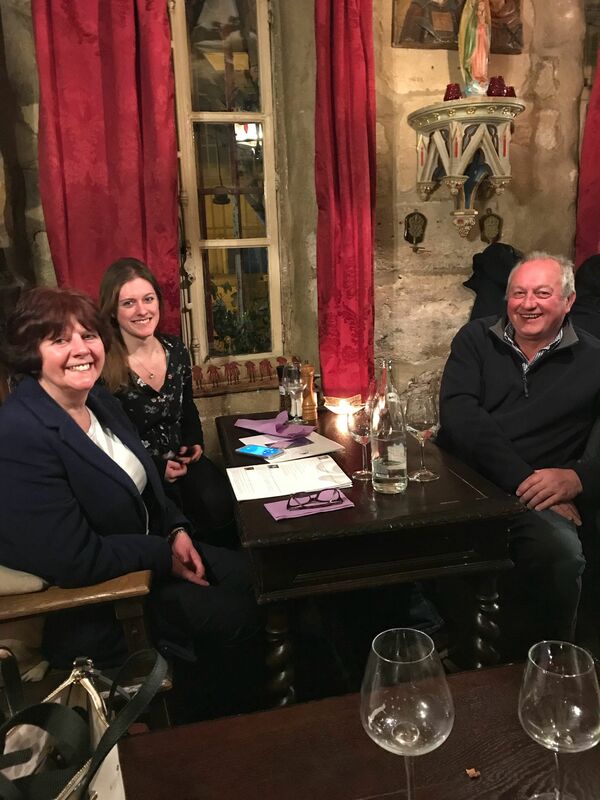 The weather had been freezing during the day exploring Paris (you know us Brits love harping on about the weather…) and mash with gravy is the ultimate comfort food! 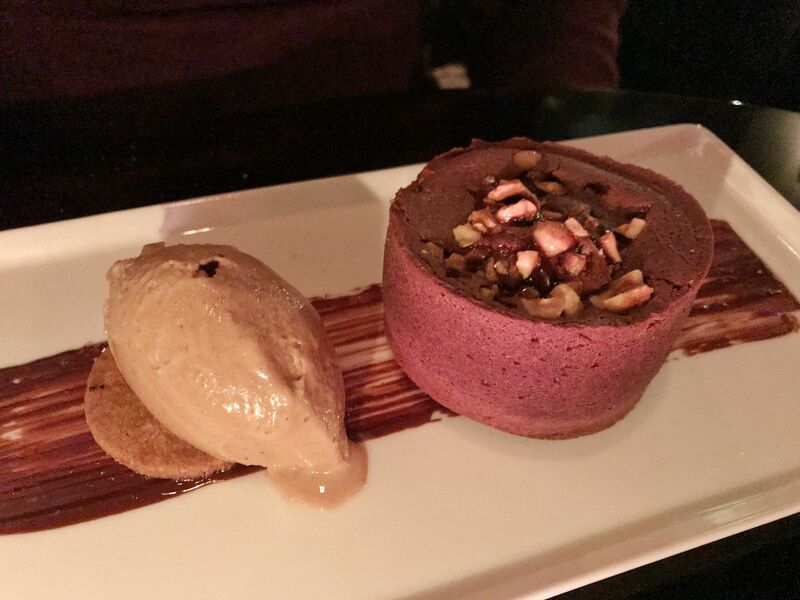 I was keen to go for something new for pudding, particularly as Adam had already shotgunned the chocolate fondant with coffee ice cream. 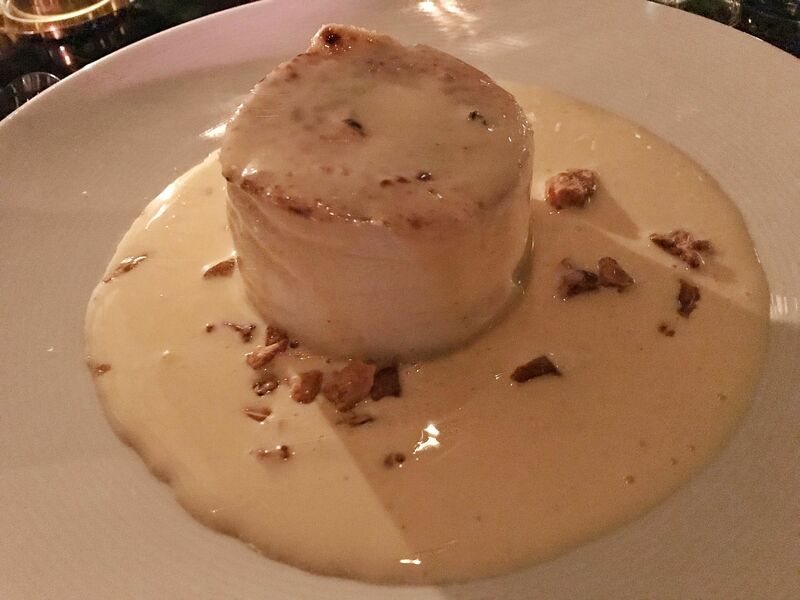 Instead, I opted for ile flottante (floating island), a classic French dessert of meringue floating on a sea of custard. I wasn’t wholly convinced I was going to like my choice of dessert but I wanted to try something different and Eton Mess, made with meringue is my ultimate favourite. The light and creamy dessert took me by surprise and I absolutely loved it. 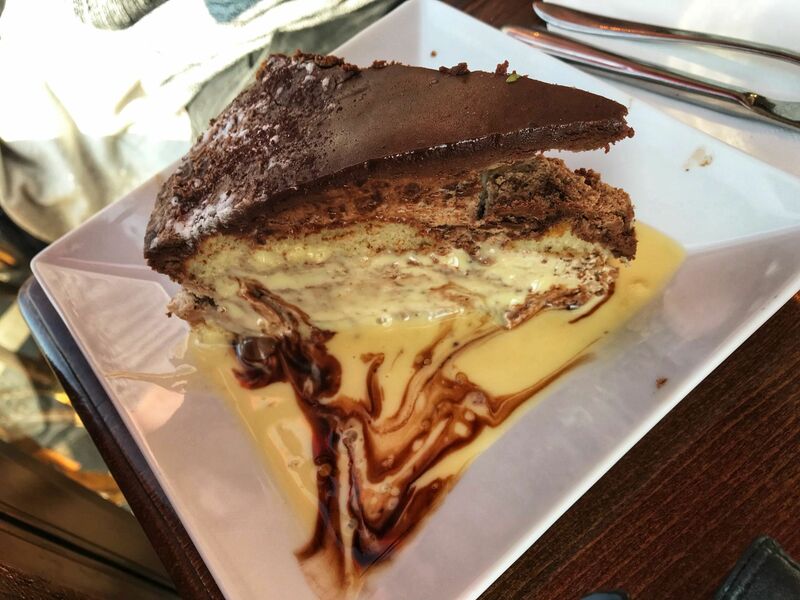 Not only is it the perfect dessert if you’re feeling pretty full but fancy something sweet, it also sounds amazing when pronounced in French! The French accent gets me every time! 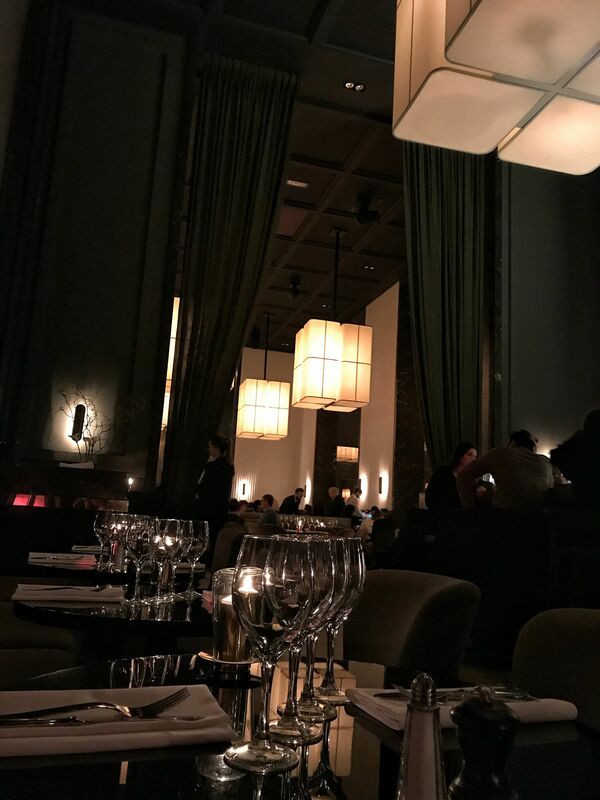 Talking of desserts, Monsieur Bleu is one of few high-profile restaurants in Paris where it’s acceptable to only have a nightcap. For a sweet ending to a day exploring Paris, pop in for a drink and share a dessert with your love as you gaze up at The Eiffel Tower. So I mentioned the cold weather right? 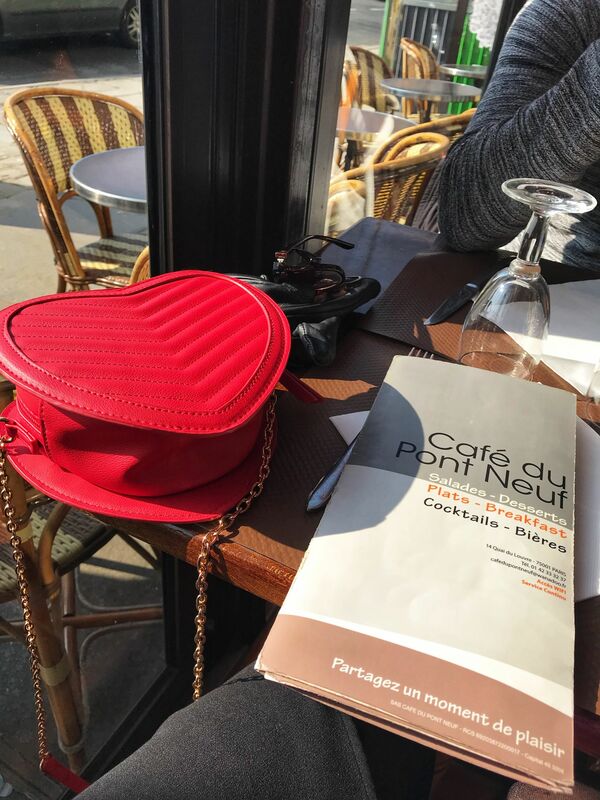 Well, Cafe Du Pont Neuf is the perfect pit-stop if you’re looking to escape the cold after leaving your love lock memento at Pont Neuf. As soon as we saw the sun hitting the windows of the cafe we knew we had to stop here. 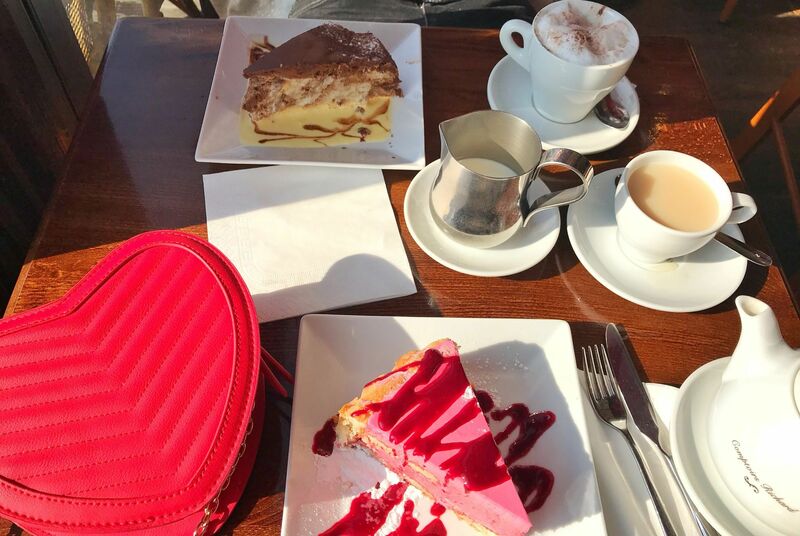 We had the initially intended on just grabbing a tea or coffee, but the selection of cakes were far too tempting to pass up. 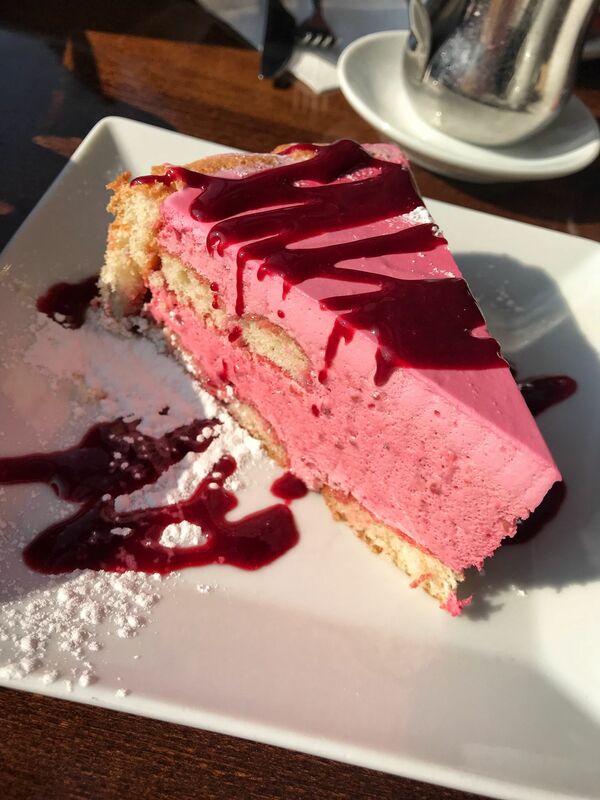 I’m pretty sure there were hearts in my eyes as the waiter approached with my humongous slice of raspberry cake and I wasn’t sure I was going to manage it…but manage it I did! Not only were we full as we left the cafe we were also boiling from our little sun trap. 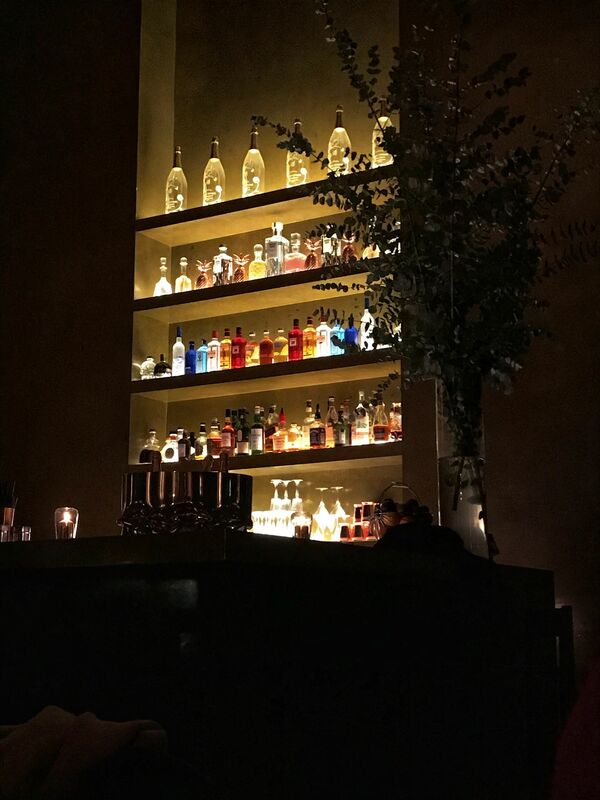 Nothing pleases me more than hunting down a restaurant I’ve been lusting over on Instagram, especially when it actually lives up to expectations! 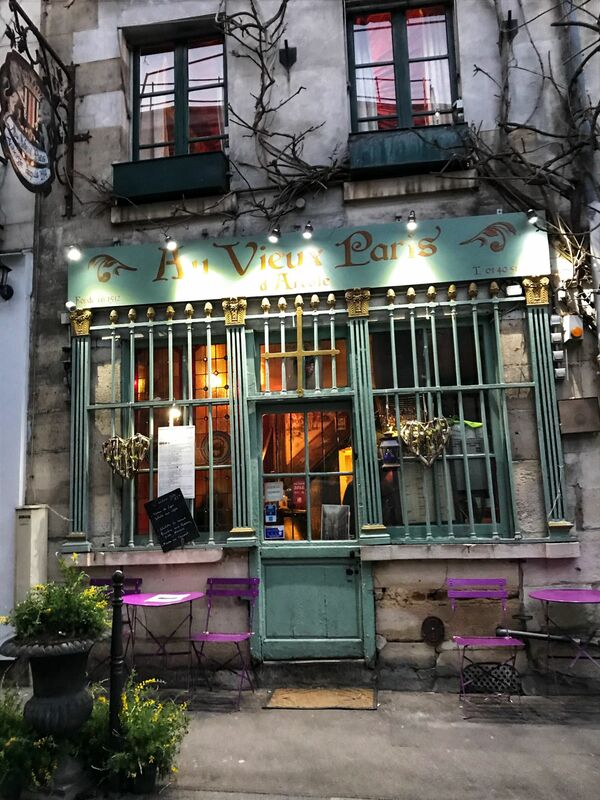 After finding this cute little restaurant adorned with wisteria on my Instagram feed, I knew it was somewhere I wanted to visit during our weekend in Paris. Of course, the wisteria wasn’t present in February but the restaurant looked just as cute from the outside. What we hadn’t realised was quite how charming this little restaurant was going to be on the inside. 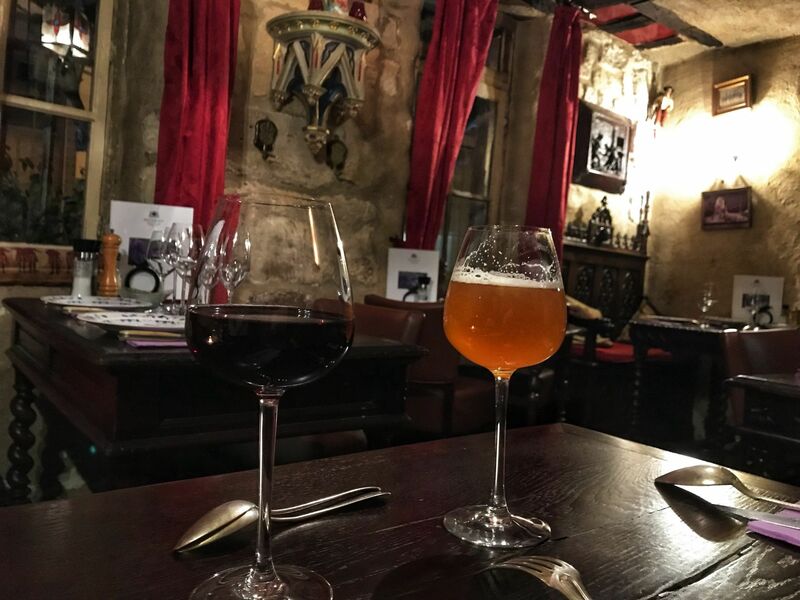 Located a stone’s throw from Notre Dame Cathedral, which is renowned for its French Gothic architecture, the restaurant is full of an old world charm of its own. 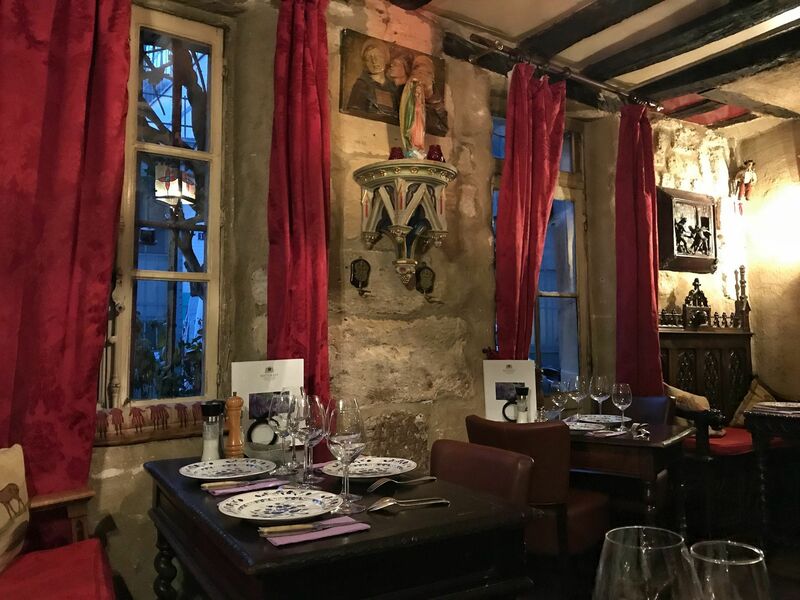 The restaurant has a medieval appearance with scarlet curtains, stone walls with various religious artefacts including church pew seating. We arrived just after sunset and found we had the place to ourselves. 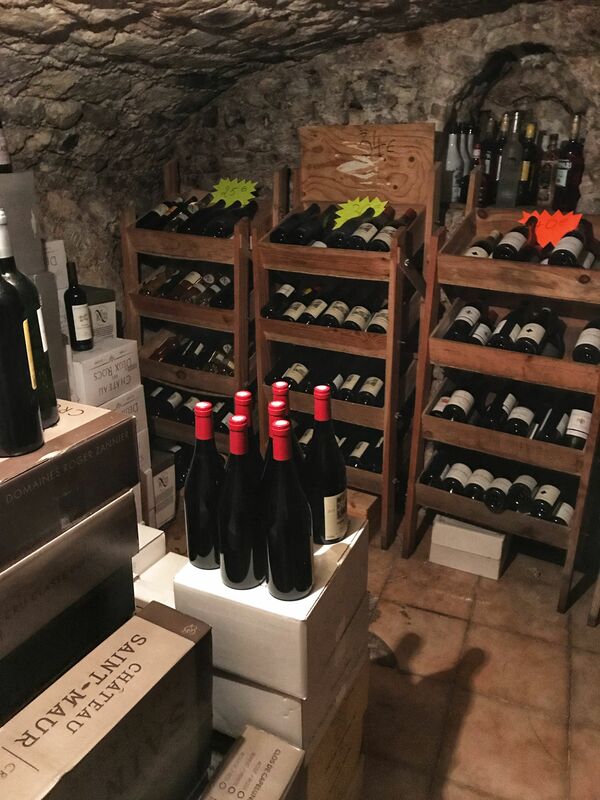 Equipped with its own wine cellar, you are encouraged to select your own bottle of wine from the fine selection in the cellar. Having the place to ourselves was quite romantic, with Adam and I perched side-by-side on one of the pews. 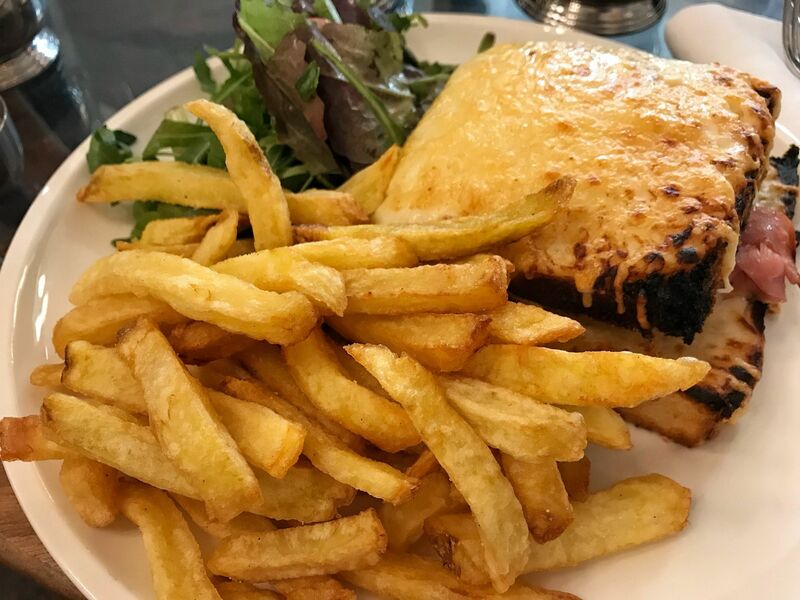 Intrigued by the amount of cheese topping the French onion soup may have, we both couldn’t resist the temptation to order the soup for our starters. 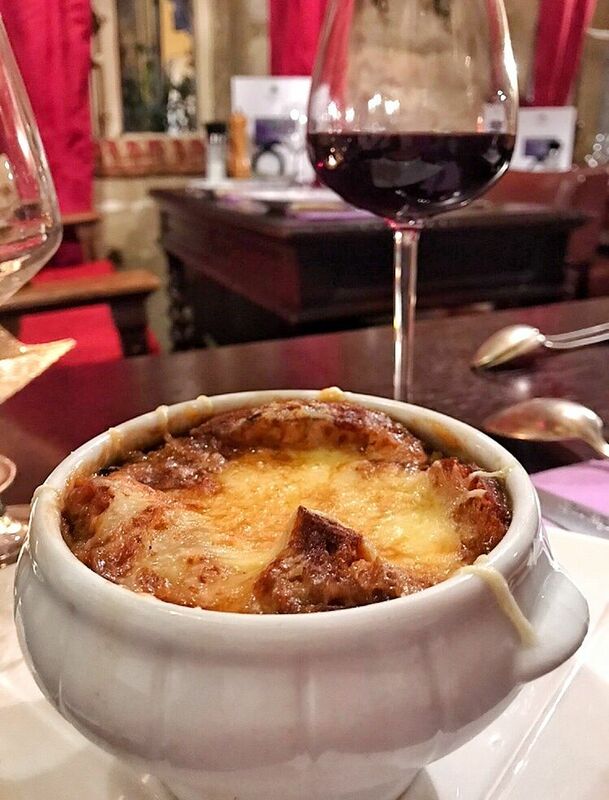 The French onion soup was absolutely divine, tasting like warm onion gravy and topped with an abundance of cheese! If I could eat one dish again from my time in Paris this would be it! Ooh, the cheese! It was the ultimate comfort dish! Understandably, we were both feeling quite full after our soup starter and as we were contemplating what to have for mains the restaurant was slowly starting to fill. Adam chose the fillet steak with potatoes and veg. 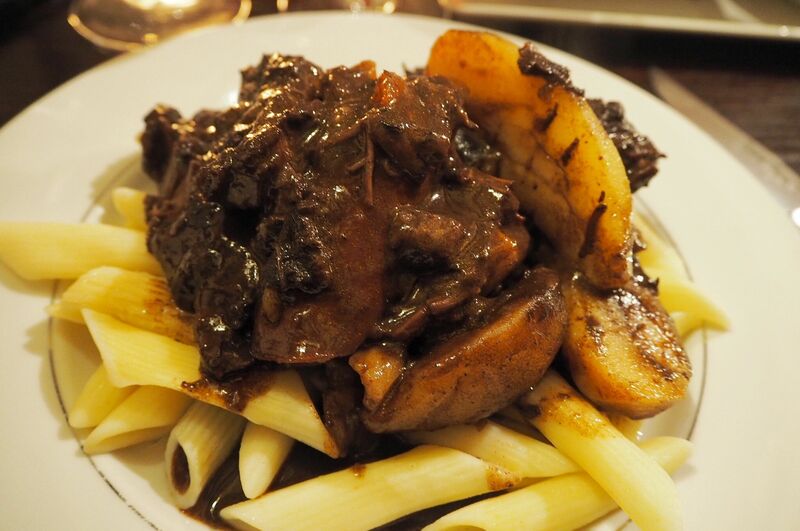 A glutton for punishment, or just a glutton I’m not sure…I chose the braised beef cheeks, which came with potatoes and to my surprise pasta! My rich and very appetising beef was also very filling and I didn’t finish it all but it was good nonetheless. 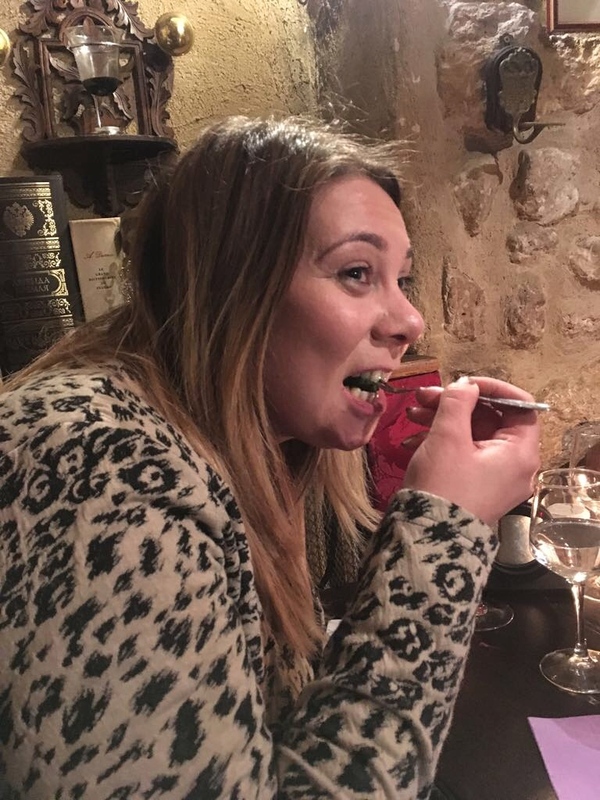 Whilst my face certainly doesn’t look impressed and, escargot isn’t something I’ll be ordering sometime soon, I did manage to chew my way through…mission complete! After sharing a chocolate fondant with Adam, we shared a bottle of wine with our dining friends. 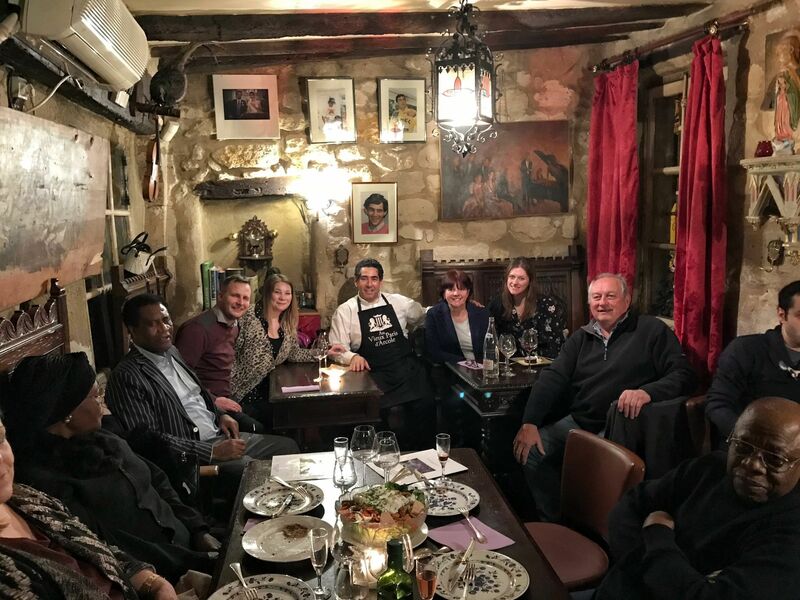 Our intimate meal had turned into a very social and enjoyable evening; what a great way to celebrate our last night in Paris! 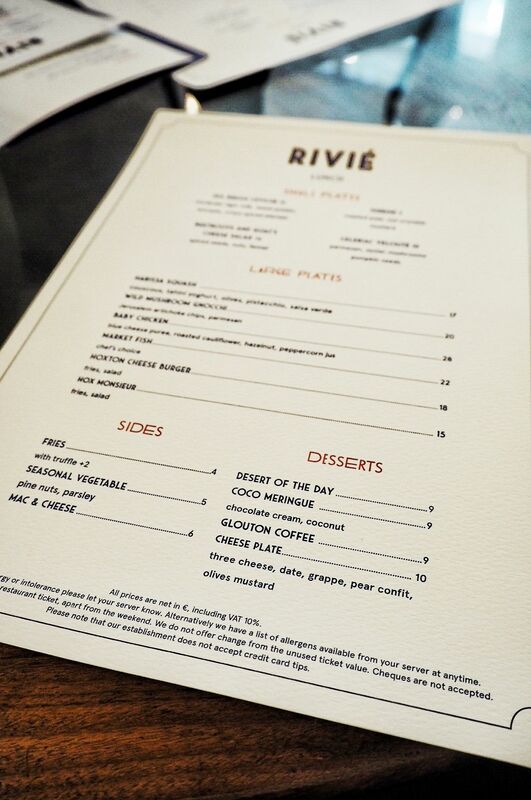 I can’t talk about food without mentioning Riviè Restaurant at The Hoxton Paris, where we stayed. Often a hotel restaurant can be a far cry from somewhere locals actually enjoying dining themselves but not in this case. French diners can be seen enjoying a drink and a bite to eat throughout the hotel and it’s no wonder. The dishes Adam and I sampled were very tasty and I love an excuse to eat a ham and cheese toastie I mean Croque Monsieur! From rustic homely dishes to French favourites, these restaurant picks will have you saying ooh la la! 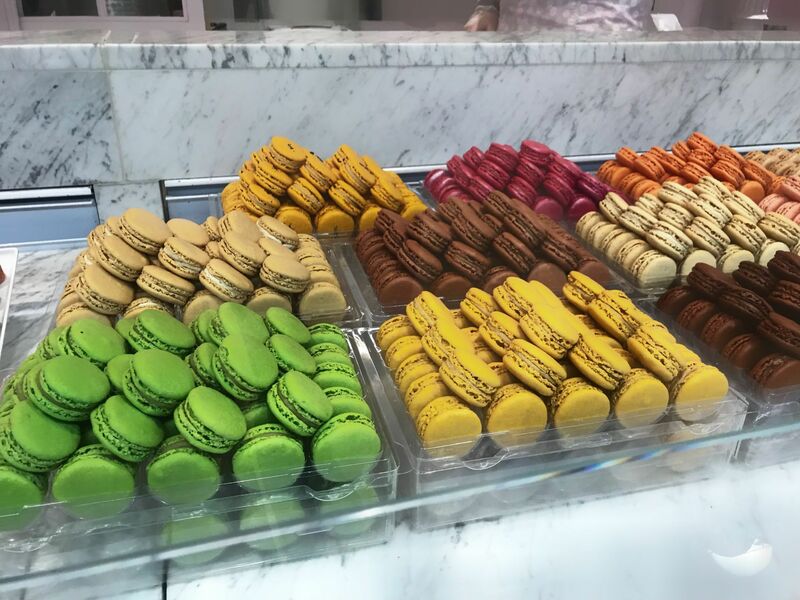 Just make sure you save some space for macaroons – another must while visiting Paris! 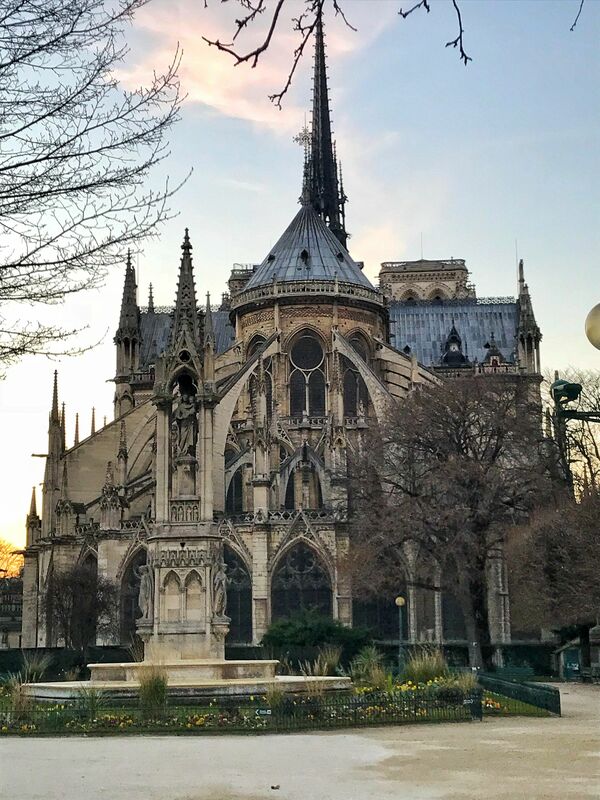 Save this post to your reading list for your next trip to Paris! 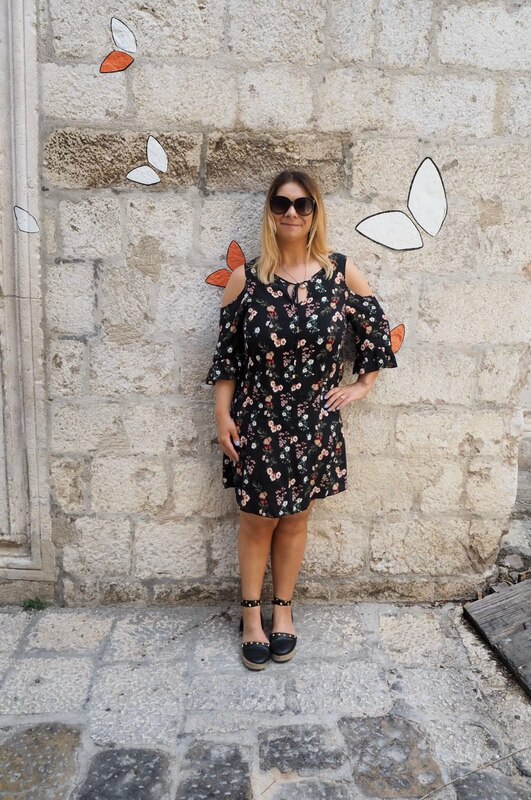 I will be sharing sightseeing tips in an upcoming post, in the meantime check out my hotel stay at The Hoxton Paris by clicking here. Oooh thank you for sharing this! 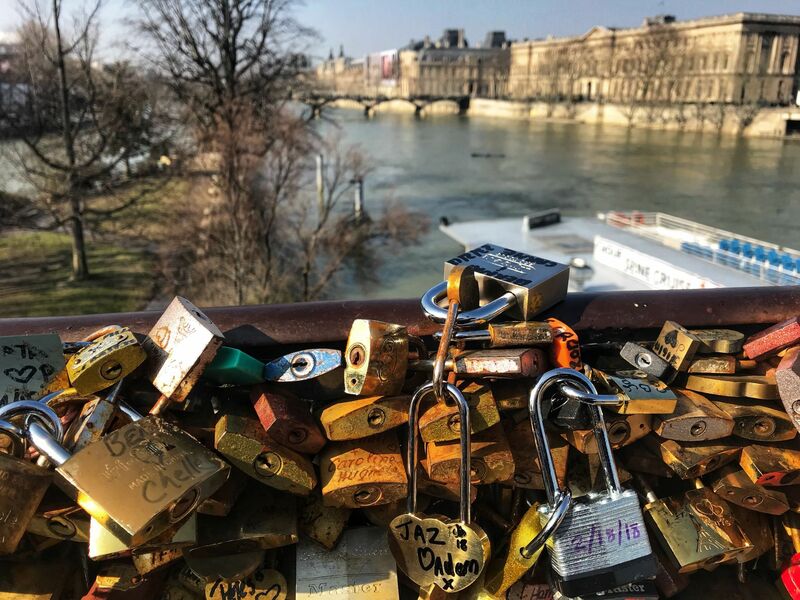 When I am in Paris I will be sure to check some out! It’s pretty bad that I’m reading this at 8:17am and it’s still making my mouth water! 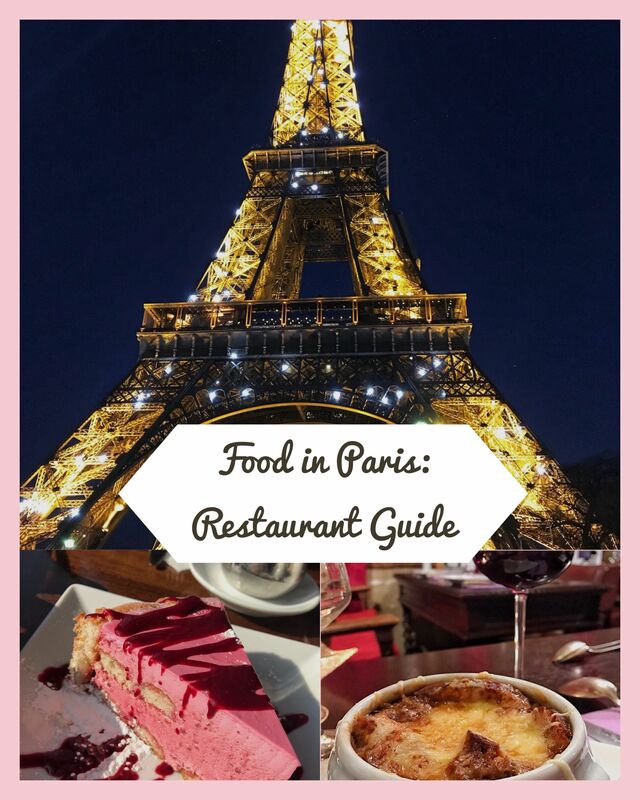 This is the kind of guide I wish I’d read before we went to Paris years ago – I love the idea of Monsieur Bleu, it sounds so romantic! Hope you are having a good weekend 🙂 We are having a quiet one to recover from our busy week! I cannot wait to go back to Paris and visit some of these places!! The cafes and eateries there always look so delicious. Thanks for this guide. Oh my! All this food looks so delicious! I think I feel full just by looking at all of the photos here:) The restaurants over there definitely look top rate and quaint. I’ve never been to Paris, but if I did I think I’d come back 10 pounds heavier. Thank you for sharing your tour with us. These pictures are SO fabulous and I am definitely drooling! Hope you had the most magical time!